The injury bug simply doesn’t want Bellator MMA to successfully host a pay-per-view event. 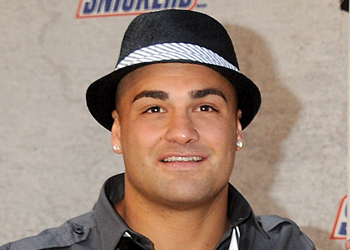 Sherdog.com is reporting lightweight champion Eddie Alvarez (pictured) has been forced out of next Saturday’s trilogy against Michael Chandler for undisclosed reasons. Will Brooks has agreed to step in as a last-minute substitute against Chandler. It is unknown if the new tango will serve as the show’s featured attraction or if the co-main event between former UFC light heavyweight champ Quinton “Rampage” Jackson and Muhammed “King Mo” Lawal will now take top billing. Rampage was initially scheduled to headline Bellator’s first pay-per-view broadcast in October against UFC Hall of Famer Tito Ortiz. However, Ortiz was forced to pull out at the 11th hour with a fractured neck and Bellator had to cancel their PPV debut. Speaking of Ortiz, he makes his return to action against middleweight champion Alexander Shlemenko in a 205-pound bout in the event. Brooks was originally slated to fight Nate Jolly next week. No word on what the future holds for Jolly. Landers Center in Southaven, Mississippi hosts the festivities. Assuming Bellator will go ahead with the PPV, the price tag currently ranges between $30 to $45.